Have you ever been afraid to read a book? No? I suppose no one ever gets scared of a book but when I bought milk and honey, I was afraid to go near it. Not because it was bad or I thought it was going to be rubbish, but because I knew -I got this feeling- that in front of me was a really powerful book. A book that could make me happy and tear me to shreds seconds later. 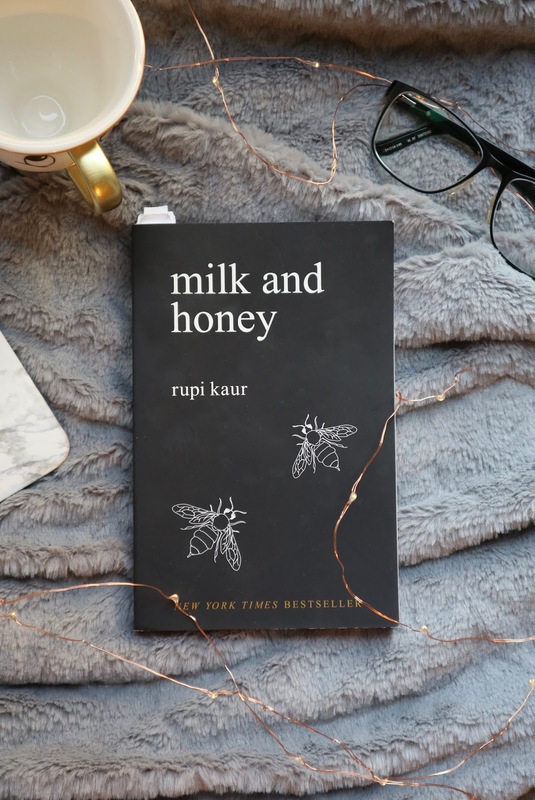 Milk + Honey is a collection of poems split into four sections; the loving, the breaking, the hurting and the healing. Kaur articulates every feeling, emotion and thought that I’ve ever felt and haven't yet felt. She made me feel happy, sad, vulnerable and strong. Through her poetry, Kaur is able to teach a way of life that we’ve become accustomed too. She points out how we (especially females) have been forced to accept things as a way of life. After reading this book, I definitely felt as though I’d been schooled in life. I felt as though I’d been taught to understand I’m a vulnerable creature and there’s plenty of loss in life. But I was also taught to appreciate life and there’s beauty in vulnerability. It’s the vulnerability that makes us human and being human is a beautiful thing. She also taught me that love is a very passionate emotion and we should be able to experience that and give everything to it. Milk + Honey is definitely a book I would recommend. And I think everyone should read it at least once in their life. It’s the type of book that gets you thinking and tapping into/ confronting emotions that you’re used to hiding away. It’s the type of book that shows beauty in life, through the loving, breaking, hurting and healing. It’s a book that encourages hope and makes you look at the person you are and want to be. She writes about being whole as a person before you can give yourself to others. Kaur touches on the pressures of society and what is right for the mind and body. Milk + Honey has to be one the best books I’ve ever read. She changes the game on poetry and it made me fall in love with the written musical language. There’s so much emotion rooted deep down in the pit of your stomach that rises up into your heart (if you read it properly). If you’re debating what to read next, or you keep putting off buying the book. Buy it now! Because it’s the game changer you need in your life. P.S- I'm going to read her new book the sun and her flowers next. I'll let you know how it goes.